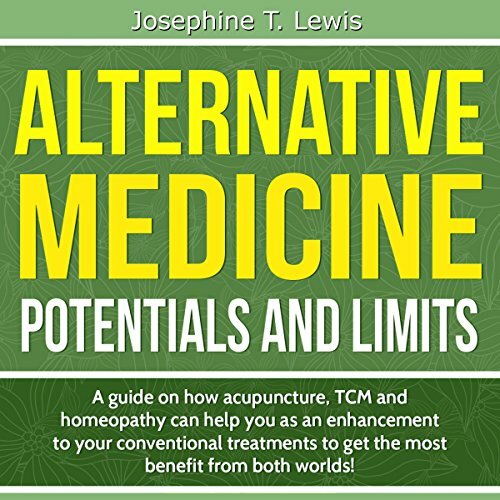 Welcome to Alternative Medicine - Potentials and Limits! Your complete guide on how acupuncture, TCM, and homeopathy can help enhance your conventional treatments. There are a lot of myths and misconceptions surrounding how good alternative medicine can be. In Alternative Medicine - Potentials and Limits, we will help answer many of these questions as well help explain how alternative medicine could help you. As you can benefit from alternative medicine, it is important to also understand its limits and its role in a comprehensive treatment plan. The key to alternative medicine is working out which techniques will work best to help your condition or supplement your existing treatments.